To stay competitive in a global, fast-paced job market, you have to keep up-to-date on emerging technologies and ensure your skills are relevant. As demand for trained and certified open source technology professionals is growing, RKCL has joined hands with RED HAT to create a competitive manpower pool for open source technologies. RED HAT is the world’s leading provider of open source software solutions, using a community-powered approach to provide reliable and high-performing cloud, Linux, middleware, storage, and virtualization technologies. Also, RED HAT certifications are globally recognized. RKCL in association with RED HAT has planned to offer Learning Subscription to ITGKs at a very affordable rate that will help the learners of the state to maintain relevant skills, gain knowledge with fast and easy access to training on the entire portfolio of RED HAT products and technologies. This Annual Learning Subscription provides an affordable facility at RKCL’s Authorized IT Gyan Kendras to get trained for RED HAT certification exams. It offers RED HAT training using a dynamic, online learning platform of video classroom courses, e-books, hands-on labs, and more — delivered on demand, at your own pace, 24x7. 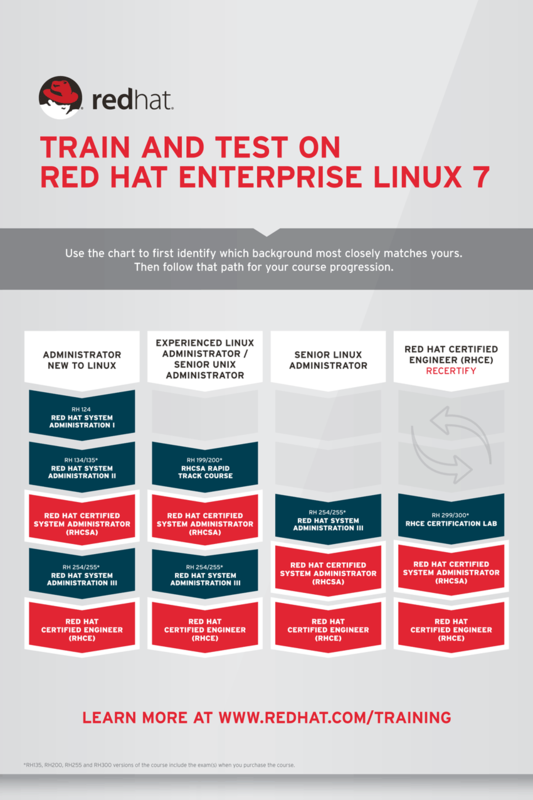 RED HAT Enterprise Linux®: 10+ Linux courses focused on Linux administration “survival skills.